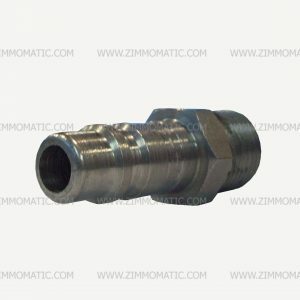 Consider the option of stainless steel quick connect couplers if you are thinking about removing your glad hands or possibly setting up dual hookups on your trailer. 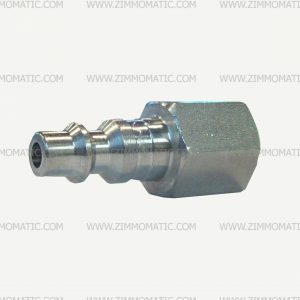 The quick connects make dual hookups a much more feasible route for airlines because they are always shut, as opposed to the glad hands where you would have to purchase a glad hand with manual shut off. 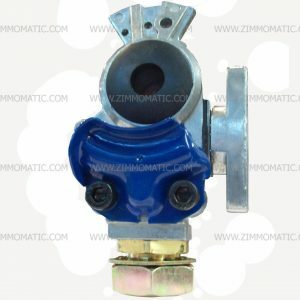 The incredible ease with which you can hook/unhook your trailer airlines and the sophisticated look of stainless steel quick connects is an investment worth pondering. 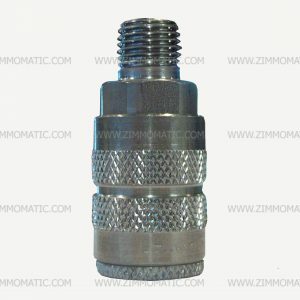 This stainless steel quick connect, 1/2 inch, male plug, female thread is the perfect way to switch your airlines from glad hands. 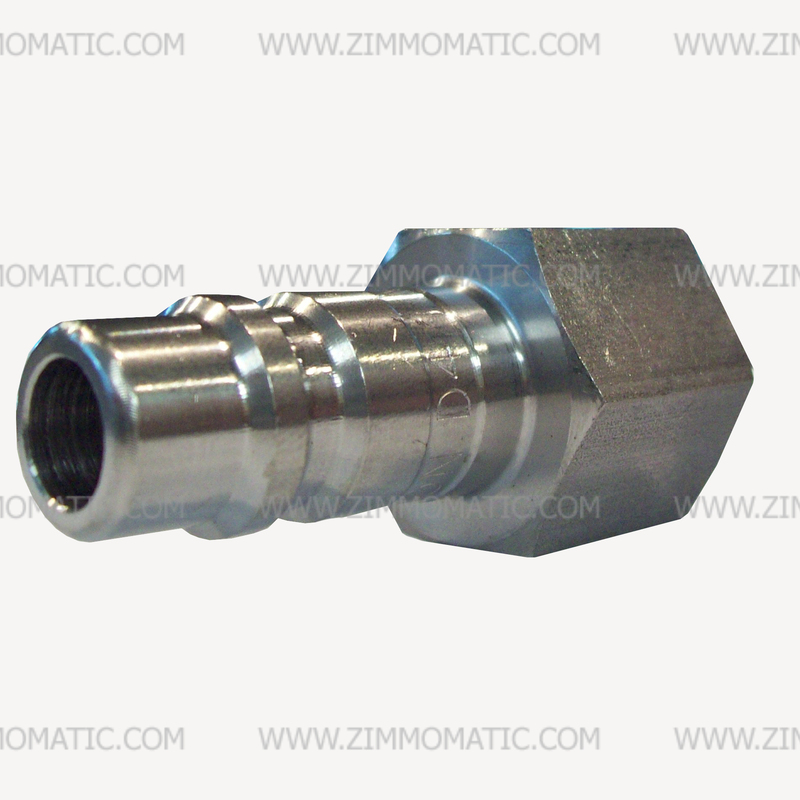 It is a partner to the female plug end with male thread, MCSHC83. The female end threads into the existing bulkhead in your airbox, and the male end threads onto your trailer airlines. 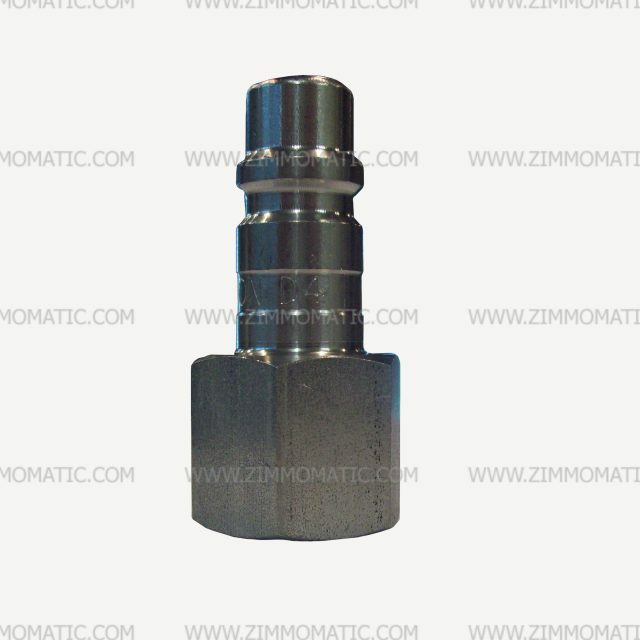 Stainless quick couplers use all the existing parts you have but add a clean professional look to your rig. They also make hooking and unhooking so much easier and thus more efficient. To ensure that your airlines cannot be accidentally crossed, use the quick connects, MCSHC86, and MCSHC31, to differentiate between your emergency and service. This set is reversed from the standard and so the male end threads into your airbox bulkhead and the female end threads onto the trailer airline. Using one set like this and one standard set, keeps your airlines at the right place.